Twenty years ago, Harvest Moon was first released on an unsuspecting North American audience on the Super Nintendo Entertainment System to great acclaim. Since then, thirty-two titles bearing the title Harvest Moon have been released, with the most recent one being Harvest Moon: Skytree Village. To celebrate Harvest Moon‘s latest milestone, we reached out in early March to ask Natsume, Inc. about the franchise’s past, present, and future and about bringing the long-requested Harvest Moon 64 to the Wii U eShop. We also asked about Natsume, Inc.’s success in with Wild Guns: Reloaded and what plans they had for the Nintendo Switch. You can like Natsume on Facebook, follow them on Twitter, on Natsume Community Manager CeeCee’s Tumblr, on Instagram, and visit Natsume’s homepage and forums. You can also check out our two prior interviews with Natsume: Harvest Moon, Medabots, Chulip, And More: A Natsume Interview [Published April 25, 2016] and E3 Natsume Interview: Skytree Village, Lufia, & More [Published June 30, 2016]. Operation Rainfall: One of the most requested games by fans to be brought to the virtual console by Natsume was Harvest Moon 64, and for years, we have been told that it was simply not possible. How was Natsume finally able to bring this classic Nintendo 64 game to the Wii U? 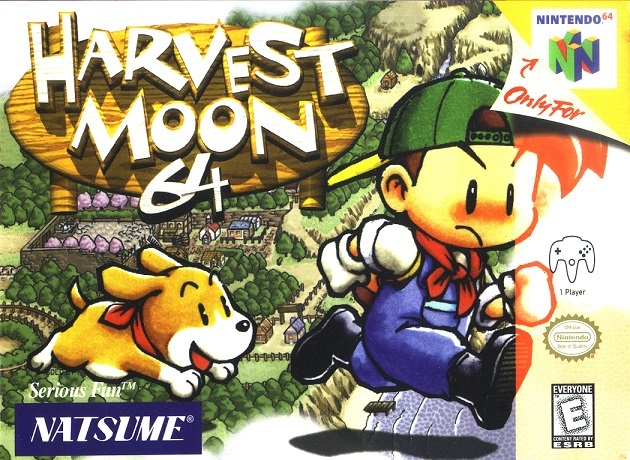 OR: Are there any plans for Natsume to port Harvest Moon 64 to the Nintendo Switch eShop in the future as well? GM: Unfortunately, at this time we are unaware of Nintendo’s plans for Virtual Console titles on the new Nintendo Switch. OR: It was mentioned on Facebook that Harvest Moon: Back to Nature [Playstation, 2000] and Harvest Moon 64 [Nintendo 64, 1999] were both developed at the same time. What was it like localizing two Harvest Moon games that had similar elements, but utilized them very differently at the same time? GM: Actually, the localization of both games were handled at different times. First, Harvest Moon 64 and then Harvest Moon: Back to Nature. Even though they were handled at different times, it was a very unique situation as the characters were the same, but their relationships were different. So for us, it was almost like a localization of two different games. OR: 2017 is the twentieth anniversary of the Harvest Moon franchise for Natsume in North America, and more than thirty games have been released in the series so far. What can we expect to see throughout the year from Natsume to celebrate this significant milestone for the series? GM: Throughout the year, we’ll be going back through all of the titles released in the series and giving some previously unreleased information about the games, which should be exciting for fans. Also, without giving too much away, we have a variety of releases, contests, and events planned! 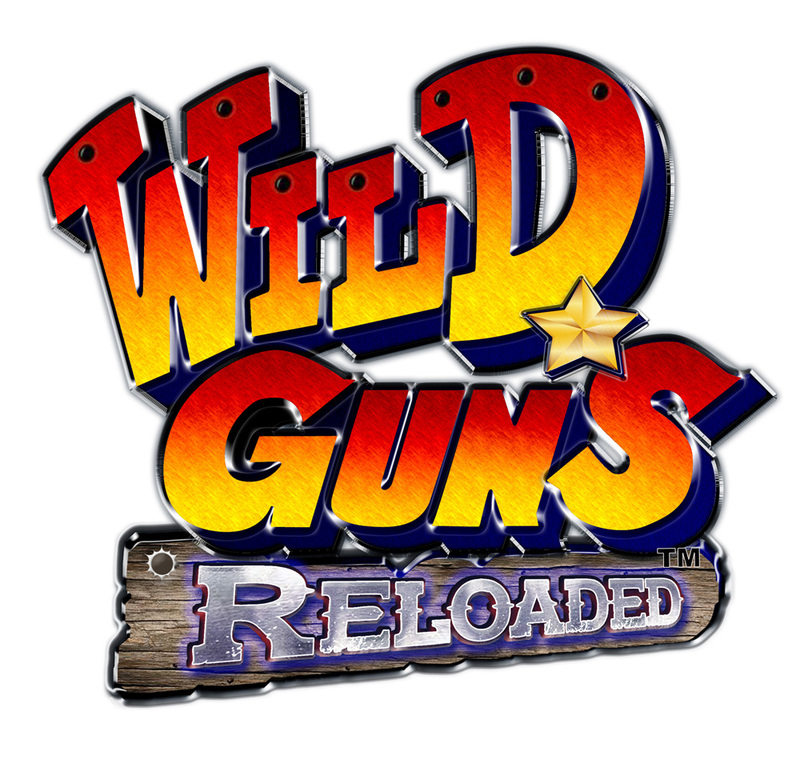 OR: Wild Guns Reloaded was released back in December for the PlayStation 4, and was the first entry in the series in over two decades. What has the reception been like for the game? GM: It has far exceeded our expectations, frankly. The demand for the physical version of the game was much higher than we expected, and the reviews for the game were even higher than we expected! Don’t misunderstand – we thought we had a good game on our hands — but sometimes that doesn’t always translate to good review scores. In this case, though, we were happy to be wrong! 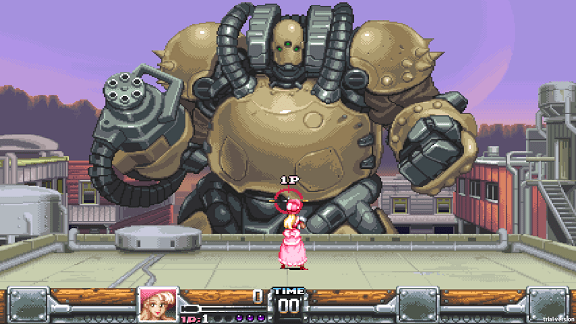 Gameplay images from Wild Guns Reloaded. OR: A somewhat surprising twist for Wild Guns Reloaded was that a physical edition for the game was released for both North American and European audiences, with the game only being released for the PlayStation Store in Japan. What factors go into Natsume deciding whether to release a physical edition versus a digital-only edition of a game in a region? GM: Actually, the physical edition of Wild Guns Reloaded was only released in North America. We tried to release one in Europe, but unfortunately there wasn’t an opportunity to do so. We’d love to always release a physical version of the games we come out with, but unfortunately it is not always up to us. Retail has a big impact if a game will be physical or not. If no retailer is interested in carrying the game, then that will drastically reduce the opportunity to have a physical version. Natsume Inc. published Wild Guns Reloaded in both North America and Europe, while Natsume Atari Inc. published the title in Japan. Therefore, the decision to release digital only in Japan was their call. 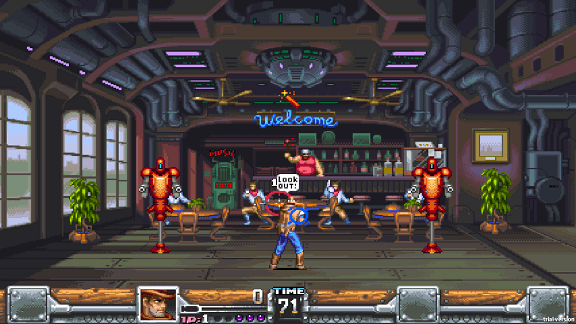 OR: Wild Guns Reloaded included a four-player mode, extra stages created just for this release, and more that was not in the original SNES release. Are there any plans to develop additional DLC for this game in the future? GM: It was the development team’s goal to put everything in the release version of the game. Therefore at this time there are no plans for any DLC for Wild Guns Reloaded. OR: Since Harvest Moon: Skytree Village‘s launch in 2016, both paid and free DLC that has ranged from new furniture to new marriage candidates with accompanying cutscenes and quests have been released for download on the Nintendo 3DS. What DLC plans are there for this game in the future? Is there any chance we’ll get even more possible marriage candidates? GM: At this time there are no plans to develop any more DLC for Harvest Moon: Skytree Village. 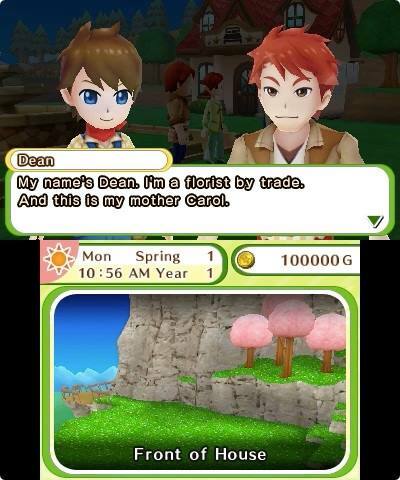 You can play as either a boy or girl in Harvest Moon: Skytree Village. OR: Harvest Moon: Skytree Village has a projected Spring 2017 release [OR Note: Since these interview questions were originally submitted, the release date had been shifted to early June 2017] in Europe. Will the upcoming release have the already released DLC included with the game? GM: The European release of Harvest Moon: Skytree Village is being handled by Rising Star Games. Therefore, any decisions related to DLC are completely up to them. 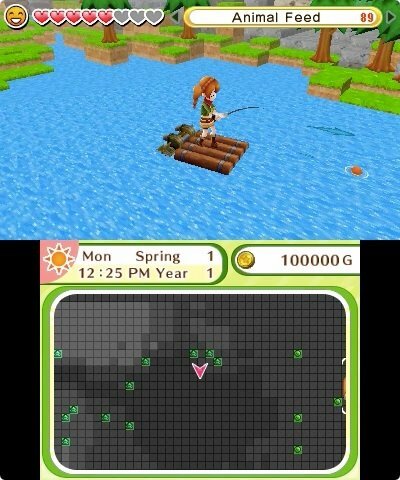 Fishing is just one of the many activities you can do in Harvest Moon: Skytree Village. OR: So far, Natsume and Nintendo have not announced any partnership plans for the Nintendo Switch, but the staff for Natsume has expressed on Facebook that they are looking forward to the console being released. Will Natsume be examining and exploring possibilities for developing new/classic IPs for the hybrid console? GM: Natsume has been big supporters of Nintendo consoles in the past and we are excited for the Nintendo Switch. All images were provided courtesy of, and are the property of, Natsume Inc. They are used here with permission. What was your first Harvest Moon game? Have you picked up Wild Guns Reloaded yet? Let us know in the comments below!